Back in 2015, Fan Zhang of Sunnyvale recreated the angle of view a proposed monster home would have peering into its Eichler neighbor. It was similar to the rear view above. Daniel Hillmer at the Lucas Valley Community Center. Why should residents who live in mid-century modern neighborhoods wait for wakeup calls? Why not get out in front of the issue, before bulldozers arrive? That's what occurred to homeowers who live in the three Eichler tracts in the Southern California city of Orange. They began pushing for historic designation of their tracts almost a decade ago—and recently achieved their goal. In November 2018, the Orange City Council made the neighborhoods local historic districts and imposed design standards that restrict changes that can be made to homes that can be seen from the street. "Now," says Adrian Turner, a neighbor who took part in the effort, " there's solid protection in place for the neighborhood." Another example of Eichler people getting ahead of the game can be found in Marin County, and there's a third in Santa Clara. What all three examples show is, no matter what strategy residents seek to preserve their neighborhood—zoning changes, historic districts, design guidelines enforced by a homeowners' association or by a city or county—the process takes a long time. It requires historical and planning code research, paperwork, attending meetings—and winning over your neighbors. 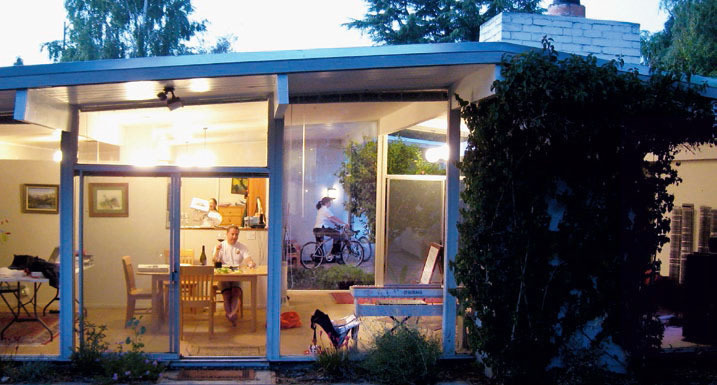 Architect and urban designer Daniel Hillmer, who helped Marin develop Eichler guidelines, says, "Not everybody agrees that more rules are better. It's highly political, in that regard." In Orange, efforts to preserve the three, largely intact tracts—Fairhaven, Fairmeadow, and Fairhills—were underway before 2010. The homes were built from 1960 to 1963. Real estate broker Kelly Laule launched an effort back then to place the homes on the National Register. 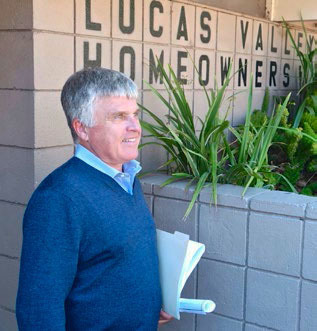 Soon afterwards, other Orange Eichler residents began working to create a local historic district instead for the Eichlers. 'Local' may not sound as grand as 'national,' but a local district can be powerful. Often, cities impose regulations that have real teeth, as the Orange Eichlers did last November. No such regulations come with national recognition. Orange's National Register effort, meanwhile, has been on hold, but is likely to re-emerge now that the local districts have been created. "The National Register is nice," says resident Tracy Ettinger, who has been involved in the local district effort, "but I think it's a little more [like] icing on the cake. The nitty-gritty, the rules that can be enforced, that's from the city." More than regulations, historic designation will bring tax benefits to owners who sign a Mills Act contract with the city, she notes. Under state law, property taxes can be reduced if the funds are used to maintain and restore historic properties. Savings for owners can be significant. The opportunity to benefit from the Mills Act was one motivator, but far from the only one that got Eichler owners in Orange behind historic designation, Marissa Moshier, the city's historic preservation planner, says. "People in the Eichler neighborhoods had a lot of enthusiasm whether or not there were financial incentives."